Barbara Connolly of the Building Services Contractors Association of Australia offers a fresh overview of where the cleaning industry is today. A common perception is that cleaning is the poor cousin of the facilities management sector, something anyone can do. 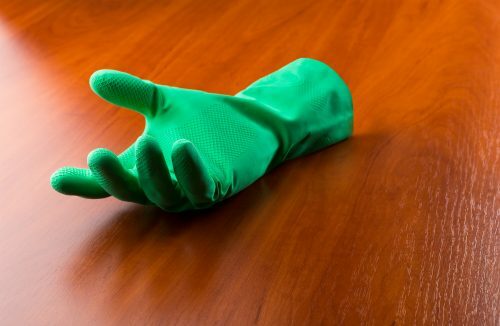 No skill is required to vacuum a floor or empty a bin, a job completed after hours, out of sight, out of mind. Yet, the cleaning industry is worth some $4 billion annually to the Australian economy. The contract cleaning industry in Australia employs in excess of 62,000 people nationally, and is serviced by companies ranging from multimillion-dollar Australian and overseas owned companies to small family operations. Like any contracting industry, cleaning faces its challenges – most contracts are of a three-year duration with no guarantee of renewal, a highly competitive market with low profit margins and downward pressure from clients, particularly in the current economic climate. There is an increasing trend from large corporations to offer national contracts that are difficult to service by direct labour and can lead to subcontracting situations, which are not always compliant with award conditions. Contract cleaners are in the business of managing labour. The labour content of any contract being something in excess of 75 percent of the contract price, the industry therefore is acutely conscious of industrial relations issues regarding wage rates, including shift and weekend penalties and the impact of workers’ compensation and public liability costs. Because there are no entry requirements, the industry is a large employer of people from ethnic backgrounds, but it is a mistake to think this means the industry lacks professionalism or career paths for those individuals who embrace the opportunities it offers. A comparison of the Australian market to the global situation shows Australian productivity rates rank among the highest in the world. The Australian average for commercial sites is 800 square metres per hour compared to a US average of 400 square metres, and slightly higher in European countries. The Australian rates have been achieved not with a reduction in standards, but with an industry-wide uptake of training on every level. Training is the key element to raising the standards and professionalising the industry and has been embraced by it. Past governments have endorsed training and funded the development of national competency standards by the Construction and Property Services Industry Skills Council, from basic cleaning levels to a Diploma in Management, delivered by Registered Training Organisations (RTOs). Under the current government’s austerity measures, funding for the industry has been significantly reduced and the industry has turned to online training mapped to the competency levels to maintain standards. Within healthcare settings cleaning understandably plays a vital role in infection control. Globally, the World Federation of Building Service Contractors, the international body representing the contract cleaning industry, is currently engaged in a world study entitled ‘Cleaning for Health’. Outside the healthcare sector, the focus for green cleaning, caring for the health of buildings and the environment has gained paramount importance with reduced use of chemicals, innovative developments in machinery and cleaning techniques, and microfibre. Aside from healthcare, quality cleaning methods can substantially reduce repair and replacement costs in the maintenance of buildings. Australia is served by two industry associations – the Building Service Contractors Association of Australia founded in 1964 (then named the Australian Contract Cleaning Association) being the peak body and the Australian Cleaning Contractors’ Alliance founded in 2001. BSCAA has offices in all states, with both New South Wales and Queensland being registered under the Fair Work (Registered Organisations) Act. Like many industry associations, both bodies are experiencing a degree of difficulty in retaining membership under the current economic circumstances. What are the current challenges facing the industry and what needs to happen to effect change? In 2010, the Government introduced the modern award system, which has transitioned over a four-year period to achieve an award containing common wages and conditions nationally for the cleaning industry as well as all other sectors operating under the award system. This was a progressive step forward. In the same year, United Voice, the relevant workers’ union, driven by a need to increase membership, and having campaigned heavily to induce prominent property owners to agree to pay more, was successful in partnering with a number companies to sign Enterprise Agreements that provided significantly higher wages for employees working in CBD areas of most capital cities. Over a four-year period, the wage for full-time and part-time day cleaners was increased by 35 percent, and 18 percent for part-time shift workers engaged under these instruments. These agreements had a nominal expiry date of 30 June 2013 and negotiations have been ongoing regarding their renewal or termination. The Property Council, the Shopping Centre Council and the industry are united in their opposition to the renewal of these agreements, which contain proposed four percent annual increases going forward. The reality is these agreements apply only to a small sector of the industry and create an uneven playing field. No productivity increases have been achieved and cleaners working in the same or adjoining buildings doing the same tasks can be paid at significantly different levels depending upon whether their employer is a Clean Start signatory or not. Second, those companies that did sign Clean Start agreements are locked into paying these increased rates while the agreements are still operative. Increasingly, clients are opting to pay rates determined by the Cleaning Services Award, and Clean Start signatories are uncompetitive in the marketplace. Compliance is crucial to the reputation of the industry and the return to a level playing field is of paramount importance. It is argued there are no national standards in Australia similar to the internationally recognised Cleaning Industry Management Standard (CIMS), but ISO is a firmly embedded Australian integrated management system. The cleaning industry is a diverse mix: there are established standards for cleaning systems, for chemicals, products and machinery manufacture, training and auditing standards. They have all been specifically developed for particular needs, and they just don’t fit into one basket. It is this diversity that has stood in the way of developing an overarching body to speak for the industry as a whole. Until a strategy has been developed to successfully address the needs of the diverse sectors that make up the cleaning industry, a single representative voice for the industry will not be a reality. The cleaning industry in Australia is professionally trained and motivated. However, it needs to better communicate with its stakeholders to raise and improve the profile of the industry to enable greater respect for the services it provides. Not least, the cleaning and facilities management sectors also need to more readily partner with each other to improve outcomes for both industries. Barbara Connolly is national officer of the Building Services Contractors Association of Australia.